Hot on the heels of Burger King announcing that it would be introducing a Veggie Burger, the world’s biggest food company, the Swiss giant Nestle on Tuesday, April 2 announced the launch of a vegan burger in Europe and the United States, following a new trend from consumers seeking to reduce their consumption of meat. Livestock is responsible for about 14.5 percent of global greenhouse gas emissions, according to the United Nations’ Food and Agriculture Organisation (FAO). This puts the livestock sector on par with transport. The U.N.’s Intergovernmental Panel on Climate Change says transport is responsible for 14 percent of emissions. 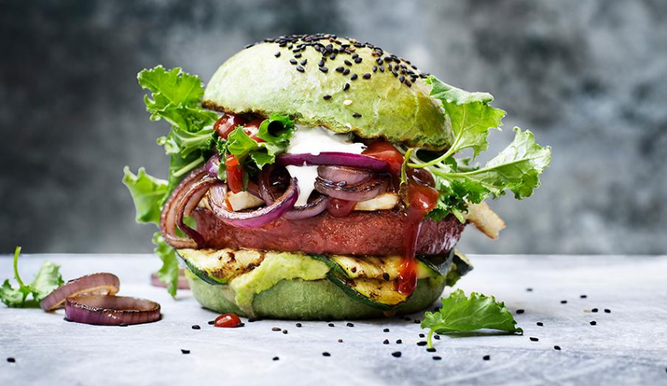 This new burger produced 100% with vegetables, will be marketed from April in Europe in eight countries, including Austria, Belgium, Germany, the Netherlands, and the Nordic countries. Later, it will also be launched in the United States, under the brand Sweet Earth, the Californian brand of vegetarian products acquired by the Swiss group a year and a half ago. The Nestlé burger will be made from soy and wheat proteins and extracts from beets, carrots, and peppers.